This is one of my favorite afternoon snacks, Snickers Snacks! So easy to make and thumbs up as no preparations are required. As an interesting fact, this is also something I have been snacking on daily during the final month of my pregnancy. This because dates are supposed to be really beneficial for labor and delivery. Apart from being a good source of energy, dates are supposed to contain calming and pain relieving substances which reduce the production of stress hormones in the mother. They are also supposed to strengthen the uterus and allow for easier labor and healing. 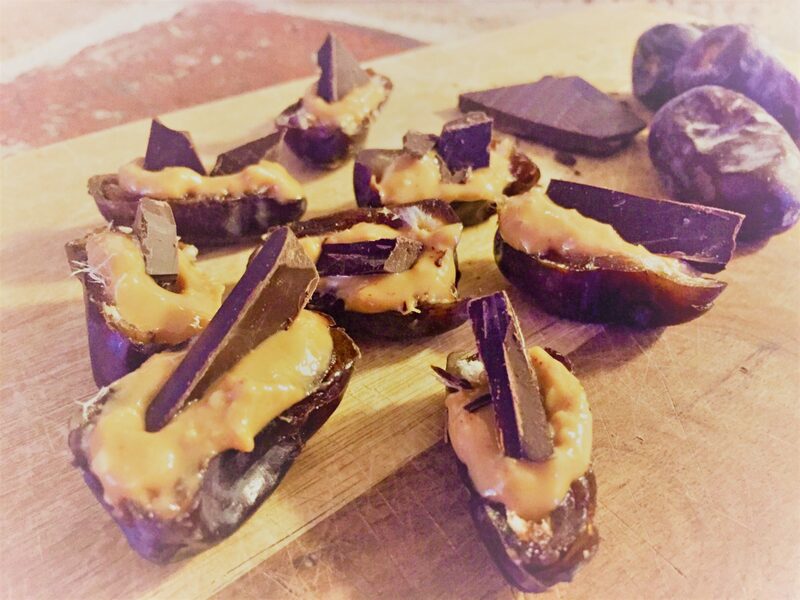 Stuff the dates with peanut butter and add some pieces of chocolate.